One of the most important parts of any hunting, camping or hiking trip is your backpack. It’s where you store all the gear you will need to survive. Tactical backpacks are great options for this, as they are durable, rugged and well-equipped with pouches and compartments. 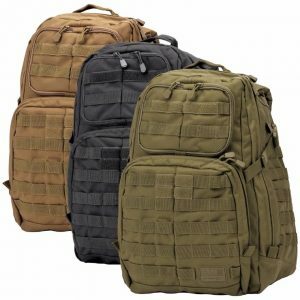 However, the tactical backpack market features hundreds of different options, making finding the best tactical backpack a tall task. But this is where we come in. We’ve read thousands of reviews and spent hundreds of hours comparing the different backpack on the market. From this, we’ve determined the 5.11 Tactical Rush24 to be the best tactical backpack available. It’s got plenty of space, it has a customizable MOLLE design, it’s comfortable, it’s made from durable nylon and it is modestly priced. If you are looking for the best tactical backpack money can buy, then buy the 5.11 Tactical Rush24 backpack now. This stuff is our life. We are hunters, hikers, campers and general outdoors people. From all of our experiences, we have learned (sometimes the hard way) how important it is to have a high-quality backpack with you on the trail. If your bag breaks or doesn’t fit all you need, you will regret it down the road. That’s why it is so important to make sure you have the best tactical backpack with you. But our experience isn’t the only reason you should trust us. Our review process is thorough and rigorous. We spend hundreds of hours reading reviews and comparing specifications. And we even test out several options ourselves. All of this means our recommendation for the best tactical backpack is one that we have confidence in and believe in. We only recommend products we would use ourselves. You may be wondering why you should opt for a tactical backpack instead of a traditional backpack. There are two main reasons: durability and compartments. Tactical backpacks are made from top-grade materials, usually nylon or some version of reinforced polyester, making them tough against wear and tear. Also, a defining characteristic of tactical backpacks is storage space. These bags are equipped with special compartments so that you can maximize space and bring with you as many gadgets as possible. 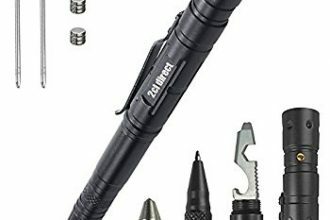 This allows you to bring with you all the tools you might possibly need to survive your adventure, or make it more enjoyable. Plus, these bags are usually designed for extended use. This means they are usually far more comfortable. They often sport padded shoulder straps and ventilated cushions. The first thing we do is to take a look at what others are saying. Bags that have consistently bad reviews for legitimate reasons are eliminated right away. Then, we begin comparing the different options based on a very specific set of criteria, eliminating those that don’t meet our requirements. From there, we test out the remaining options ourselves, leading us to the best tactical backpack. This is perhaps the most important thing you need to consider when buying a backpack. Many people jump for a big bag. Usually, the thought is: it’s better to have more space and not use it than to not have enough space. But this is a mistake. A big bag with lots of space means more stuff. And more stuff means a heavier bag. Experienced hikers will know less is more when it comes to packing. Bag sizes are measured in liters. For most people, a 30-40L bag will be plenty. If you plan on taking many multi-day trips, or week-long excursions, you may want to go for 50+ liters. But again, don’t get tempted by a big bag, as you will likely regret it down the line. 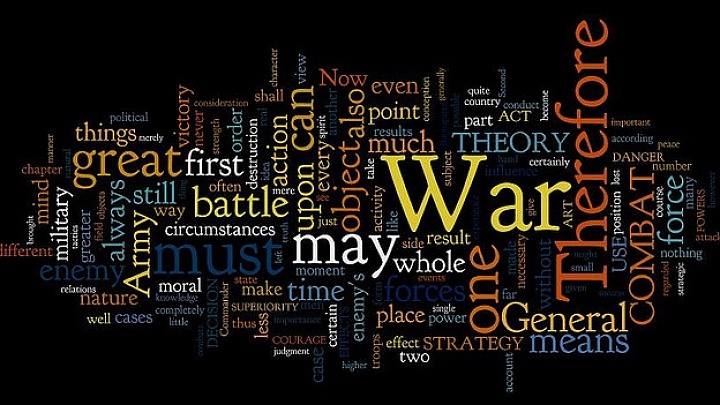 One of the advantages of a tactical backpack is that it is durable. You want to make sure your bag is built to last. Many of the best tactical backpacks are made of some type of nylon—the stuff parachutes are made from. One thing to look for is waterproofing or water resistance. Since you can never predict the weather, it is important to have something that can protect your stuff. Some bags will come with separate rain covers to help protect them. Others are made from waterproof material and require no extra cover. This is something you need to pay attention to when looking for a backpack. One of the best features of tactical backpacks is the way they help to maximize space. 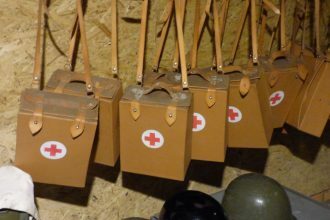 They will usually have specific pouches for things like phones and laptops and to store specific types of gear, such as flashlights, knives, towels and water bottles. One extra feature of some tactical backpacks is MOLLE. This stands for Modular Lightweight Load-carrying Equipment and is a design feature that allows you to add additional pockets or pouches. 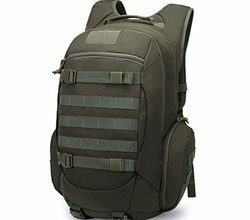 It is a good idea to look for a tactical backpack with this design feature. While it is important to make sure you are getting the best tactical backpack, this does not mean you need to spend a fortune. There are bags out there that cost several hundreds of dollars. And there are others that cost less than 50. Neither is likely to be a good option. The cheaper bags often don’t stand up to durability tests, or they simply lack features. On the other hand, expensive bags do not offer so much more that they are worth the extra money. 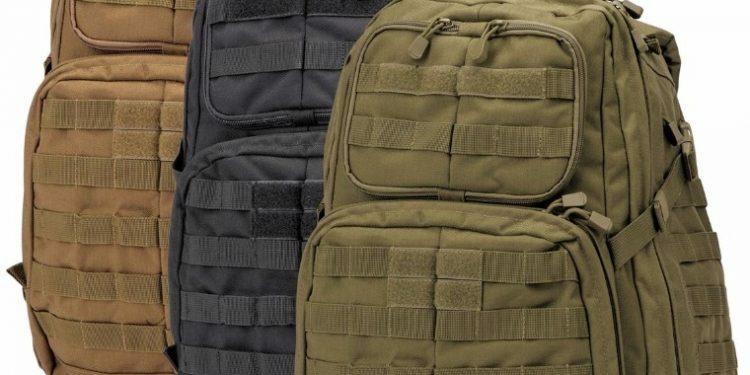 The best tactical backpack will likely cost somewhere around $100. 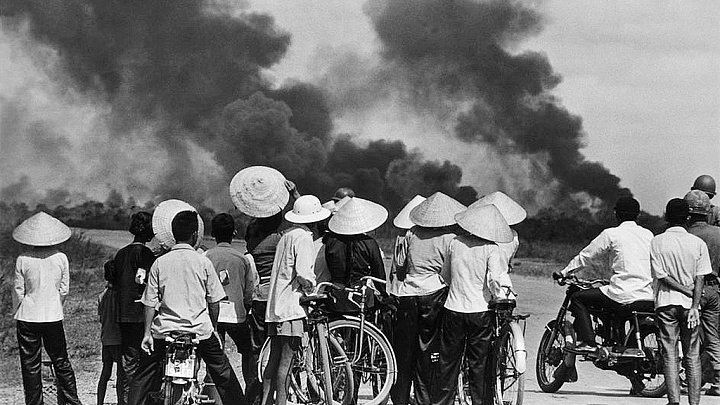 To begin our review, the first thing we did was to examine already existing reviews. Anything that had less than a 3.5-star Amazon rating was thrown out almost immediately. Then, we used the criteria mentioned above to narrow the list down further. The next step was to test out the remaining top options to determine which one deserves the title of the best tactical backpack. Here are the results of this process of elimination. The first thing we looked at was the design of the bag. We wanted something that would maximize space while allowing you to store everything you need. Finding a bag with the right storage design is key. We are also big fans of the MOLLE system, so we threw out any bags that did not have it. Examples of bags that were thrown out because of a less-than-stellar design were the Vertex Commuter bag, the Maxpedition Typhoon Backpack, the 5.11 RUSH MOAB 6 Backpack and the The North Face Recon Backpack. The next thing we did was throw out bags because of their price. As we mentioned earlier, there is really no need to spend several hundreds of dollars on a tactical backpack. You are not getting much more in terms of features. They are simply more expensive. We eliminated the Eberlestock G4 Operator Tactical Pack and the RE Factor Advanced Special Operations Bag because they were too expensive. 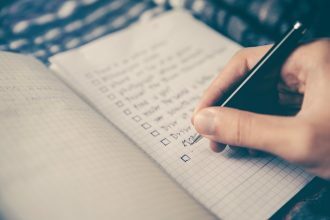 After using our criteria to eliminate several top options, we got the list down to eight. From there, we set out to test these so that we could find the best tactical flashlight on the market. There aren’t any other bags on the market quite like the 5.11 Tactical Rush24 Backpack. It’s got about 37 liters of storage space, is MOLLE equipped, it’s made of durable nylon, it’s well-designed and it’s plenty affordable. The best thing about this bag is its versatility. It has three main storage areas, and each one is full of its own special features. The largest one features a spot for a laptop or tablet, leaving plenty of room for your to store the rest of your gear. The two front pouches are roomy and useful, as they provide a spot for storing anything from flashlights to documents and or any other electronics. It also makes use of the MOLLE design so that you can customize it or add on more pockets as needed. Also, it is made from nylon and treated to be water repellent. The wide shoulder yoke is helpful in distributing the weight on your shoulders, making this bag extremely comfortable to carry. Lastly, the bag costs less than $150—a very reasonable price for a quality bag that comes from a respected manufacturer. One issue with this bag is that it is not fully waterproof. It is water repellent, and you can buy a separate waterproof cover, but this could be an issue. There is also a limit to what you can use this bag for. It has nearly 40L of space, which is a lot. But if you are planning on going on any week-long treks, this might not be enough. Plus, there isn’t any space for storing tents or other sleeping gear. If you want the best tactical backpack on the market, one that is durable, versatile, roomy, comfortable and affordable, then get the 5.11 Tactical Rush24 backpack now. Some of you may be looking for the versatility and design of a tactical backpack but in smaller bag that is more practical for day trips. If that is you, then the Hisea Outdoor Hiking Backpack is the best tactical backpack for you. One of biggest upsides of this bag is how comfortable it is. It features all sorts of extra padding and ventilation, making it rather easy to carry. Also, despite being a small bag, it features the MOLLE hanging system, allowing you to customize the bag any way you want. It is also made from durable military grade nylon, making it virtually immune to wear and tear. Lastly, despite being a small bag, there is plenty of storage space in this backpack. And there are also quite a few nice compartments, helping to maximize space and make this bag even more useful. The obvious downside to this bag is that it is small. It is useful for day trips, but you would never be able to scale this bag up for something more. Additionally, the nylon isn’t waterproof, which is something that really would have set this bag apart. And it can be a bit rigid, making it difficult to stuff inside larger bags. But these can all be worked around and don’t take away from the overall quality of the backpack. 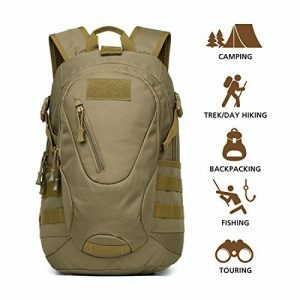 If you are looking for a fantastic tactical daypack that is durable, comfortable and that has plenty of space, then get the Hisea Outdoor Hiking Backpack now. 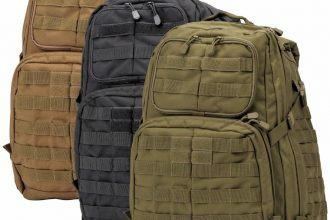 With so many different options on the market, finding the best tactical backpack can be a fantastic challenge. But we set out to help make it easier by using our rigorous testing methodology to find it for you. We spent hundreds of hours reading reviews, comparing specifications and testing out the top options. From this we have deemed the 5.11 Tactical RUSH24 Backpack to be the best tactical backpack available on today’s market. It is durable, comfortable, versatile and well-designed, and it is also very reasonably priced. If you want to buy the best tactical backpack you can get, then get the 5.11 Tactical Rush24 backpack now.